As motor vehicle use increases (10 million more cars were on UK roads in 2015 than 1995) so does the risk of a serious road incident and the inevitable tailback. Slow moving traffic impacts everything from haulage to the daily commute, and with just a satnav app to offer the possibility of a long-forgotten route around the incident, hope of escaping the “road to hell” can seem desperate. To deal with this, governments are trialling “smart roads,” connected stretches of motorway designed to spot accidents, manage traffic, and ensure the flow of vehicles remains as efficient as possible. Although different projects are in operation across the U.K., European Union, and U.S.A., they’re broadly based on the same general principle of a connected roadway with a panopticon-like command centre. Signalling (MIDAS) in the U.K. Monitoring algorithms then recognise traffic conditions and display the appropriate speed limits and lane closures on the overhead signage. Hard Shoulder Running (HSR): using the same systems as Controlled Motorway, the HSR option enables the hard shoulder to be opened as a legitimate lane on the motorway. While this can help ease heavy congestion, has a key downside. Opening the hard shoulder to standard traffic can lead to access issues for emergency vehicles. All Lane Running (ASR): taking the HSR idea further, ASR leaves the hard shoulder open almost permanently. Roads where this has been trialled are like to see the central reservation adapted for emergency access. 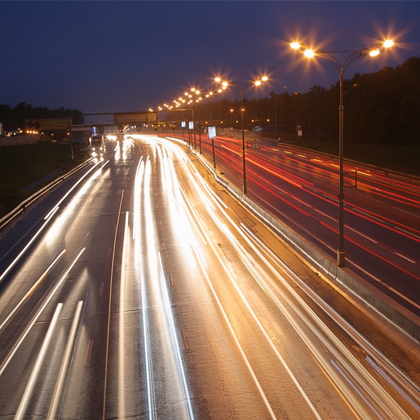 What each has in common is the underlying technology that makes it possible to detect, predict, and react to traffic conditions throughout the day. Managing highways in this way requires a wide selection of technology, for detection, observation, and display. It’s difficult to take a long trip without spotting a camera. Smart motorways rely on CCTV to relay live images back to the control centre, with full pan, tilt, and zoom functionality to provide maximum visual coverage. Furthermore, these slabs can send data in the other direction, with the trial aiming to forward vital real-time traffic alerts to phones and smart cars. Other detection technology is typically utilized to ensure that as much information as possible is available about what is taking place on the road. Inductive loops, for example, can be embedded in the road’s surface to detect the volume of traffic on motorways. This system is typically used at traffic lights in cities and suburbs. Radar Vehicle Detection (RVD) detects traffic speed and volume, and is becoming more popular, with RVD devices mounted on poles along the side of highways. Requiring minimal construction and almost no disruption to traffic, these devices also have a low maintenance cost. Providing speed advice and perhaps even alternative route suggestions isn’t all that these smart roads can do. The cameras aren’t only for detecting incidents and observing traffic flow. Enforcement technology (such as Highways Agency Digital Enforcement Camera System, or HADECS, in the U.K.) spots drivers who are refusing to follow temporary speed limits, and fines can be issued. Additionally, the surveillance cameras can also be used to spot standard speed infractions, dangerous driving, and be used to generate fines. They’re even admissible as evidence in court. It’s not only the cars that are getting smarter.